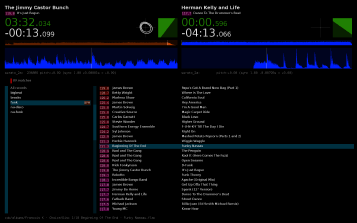 xwax is an open-source Digital Vinyl System (DVS) for Linux. 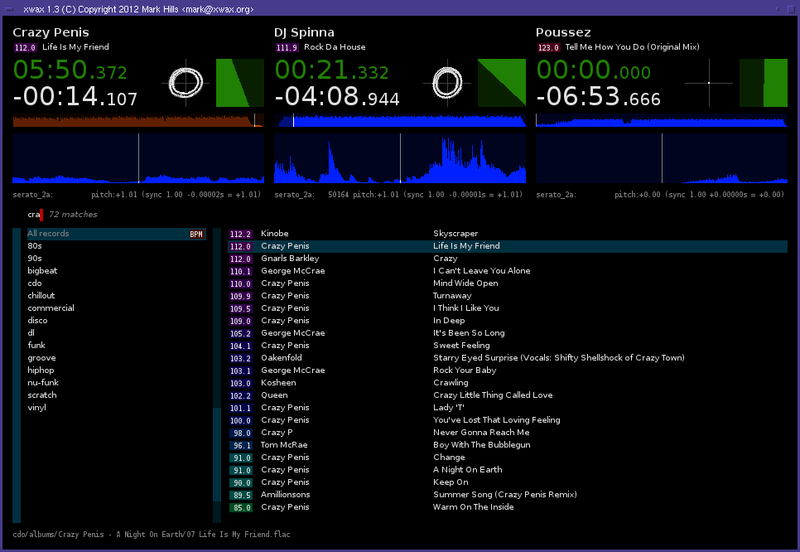 It allows DJs and turntablists to playback digital audio files (MP3, Ogg Vorbis, FLAC, AAC and more), controlled using a normal pair of turntables via timecoded vinyls. It's designed for both beat mixing and scratch mixing. Needle drops, pitch changes, scratching, spinbacks and rewinds are all supported, and feel just like the audio is pressed onto the vinyl itself. The focus is on an accurate vinyl feel which is efficient, stable and fast. 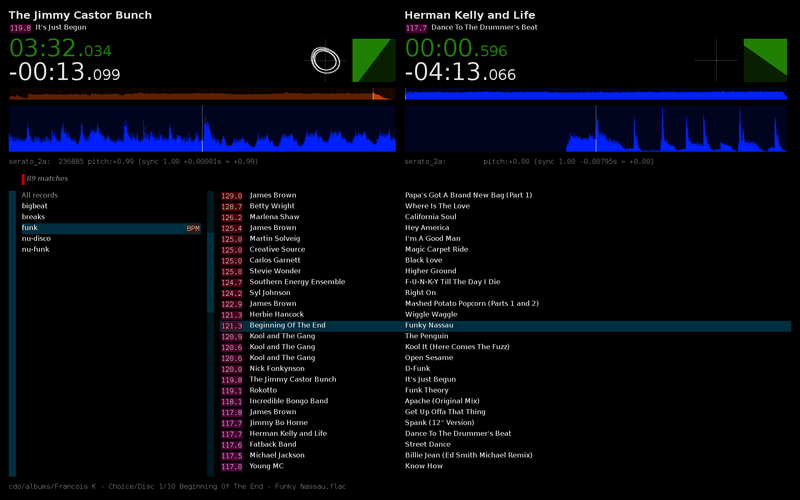 A little 1.7 release adds locale support for international track and artist names, as well as some minor fixes. A nice writeup of the PiDeck project is in print this month! The latest issue of the MagPi magazine explains how to get xwax up and running on a Raspberry Pi. 64 Studio has anounced its PiDeck project; an open source project to retro-fit the Raspberry Pi and xwax onto any DJ turntable. There's a couple of awesome demo videos and it's even been picked up by DJworx and CDM. Excellent work by Daniel, Chris and everyone involved. Rather a late announcement (on the website at least!) of the 1.6 release. For the adventurous, there's a new tool to make your own timecode signal. We've revamped our wiki for documentation and guides written by users; please feel free to contribute your own. The new wiki is hosted on Github and can be edited online or in Git. Thanks to everyone who contributed, especially Louis for porting the content and Mitchell for his hosting of the previous wiki. For earlier announcements, see the archive.